Discussion in '5th Gen 4Runners (2010+)' started by Allaboutfamily, Apr 14, 2019. 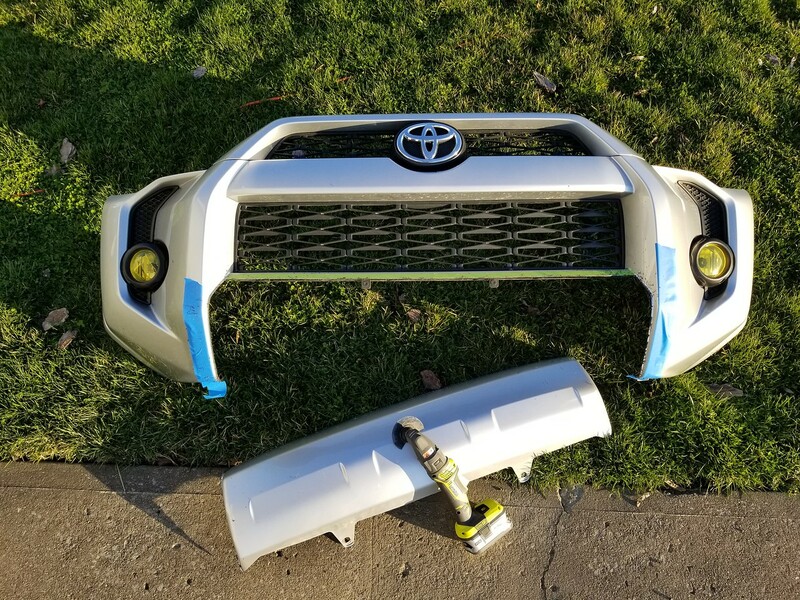 Are you happy with the bumper, overall? I have been eyeing that one up. Some stuff, yes but others no. Most dealers slap a shitacular spacer kid on and upsell it with a $2500-$3500 markup. For that much $$ you can throw a solid rebuildable coilover System on like king or fox. Do It right and you can private sell the vehicle better than you could get for a trade in. Sweet ride!! Congrats!! 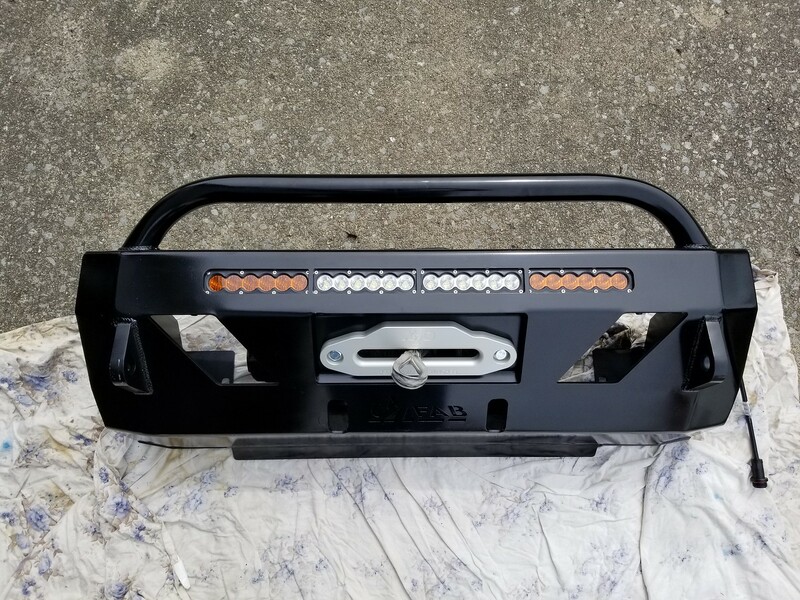 I would start off with buying quality used parts from here and other sites. You should be able to find lots of good stuff. Im happy with it. I liked the design just a bit more than the SSO version. One tip, when you mount your hawse fairlead on, make sure its up as high as it will go, the line come VERY close to the edge of the opening cut in the bumper. Actually it will touch the edge if you mount the fairlead low. I would even file that edge down smooth just for the hell of it before you mount anything. Buy some rubber door trip and put if on the edge of your bumper after you cut it, gives it a cleaner look. In my experience, you wont get WORSE tradein on a modified vehicle. BUT, you wont get ANY of your mony back on the mods either. My tradeins have basically been about the same (or sliiiightly more) than they would have been if the vehicle was stock. You could have $10k in mods, wont matter, you will basically get regular tradein value most times. I saw the title and assumed OP was looking for some sort of MMF thing. thirdyota, HoBoDanny and stewtopia like this. Wiring isnt bad at all, the Smittybilts I have used cam with easy to follow instrustions, with labled connections and cables. I would highly recommend the Smittybilt X2O with synthetic line. Already has a nice wireless controller. Seems a bit better built and designed than my Smittybilt XRC 9.5, not that I have had problems with it either. 4Runner is my wife's. Just took it off road. My wallet is now in trouble. Does your wife have a CCW for those cannons? Beautiful!! The T4R is nice too!!! I picked an Asian wife. I get lonely on Monday nights while she is belly dancing...The girls put on a good show. I really like that T4R...If I start saving now..One day...One day...OK I just showed her and she likes it...I’m going with green when it comes out I think...unless they bring out an Anthracite again. I just fueled up and got milk, 303,000 and runs like brand new!!! 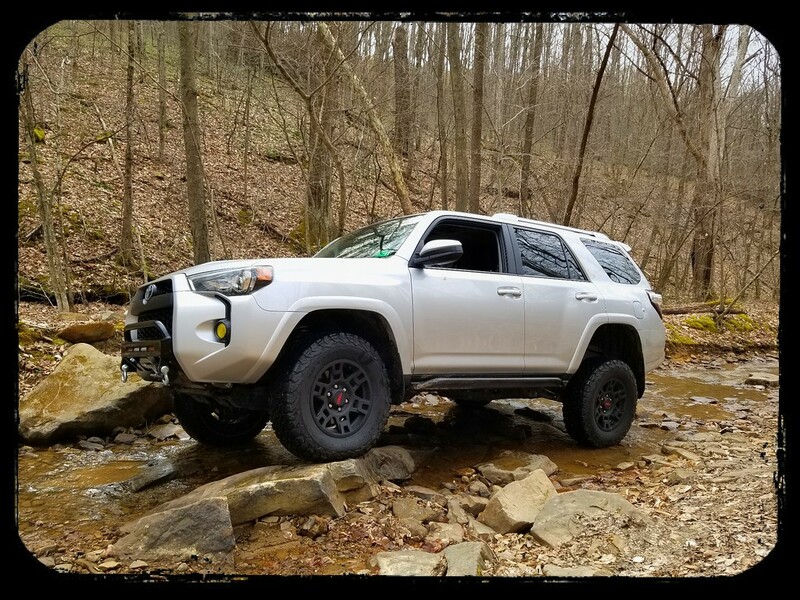 Are those rock sliders with the steps factory? Thanks guys! Yes my wife is quite the hottie. But I don’t share. These are 285/65/18 BFG KO2's on a 3" lift... the wheels I believe have 0 offset... had to make some adjustments to the wheel well liner but other than that all is good. Backslider, WallyT4R, 4Runner fun and 2 others like this. Nice rig! That’s about the look she’s wanting. She doesn’t want the wheel sticking out too far, if any. She’s decided she’s definitely getting new wheels, probably 20’s and they MUST be black and RED she said. Her sister put black and red wheels on her Audi R8 and my wife loves that look so, it is what it is. But my wife will kill me if I have to go trimming on her brand new 4R. Thank you.! Sounds like she has a plan. 20s with a 3" lift? Black and red? Yecht. I just purchased the OME lift and after several conversations with the sales team, I went with the 885 front coils for it. Added in the assembly and stuff for an additional $100. Hope the wifey will be happy with this setup. Now, into wheels and tires. The lift just arrived. It’s gonna be murder waiting for the wheels/tires to get here so she can see it all come together. jgcaps, SlvrSlug and Thatbassguy like this. Just now seen this post. That’s a sharp ride! Yours or the wifeys? Mine. I have had 3 4runners now and I can't imagine a better vehicle for my lifestyle! Sweet! I’ve been an offroader all my life, mostly Jeeps. After spending time here, it’s really made me want one bad. I’ll always have to have a truck because I do way too much that an SUV just couldn’t handle but, I’m seriously considering getting me an older model just to wheel. But her ride will never see anything more than MAYBE driving through one of our fields. Even tho it will be setup for MOAB once I’m done with it. jgcaps and Allaboutfamily [OP] like this.